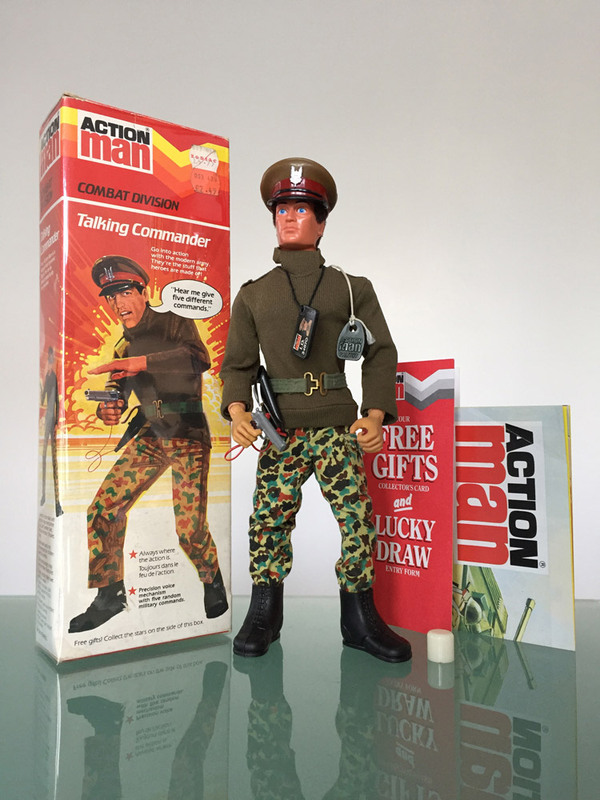 For the first few years the Action Man range was near identical to his GI Joe cousin. Slowly but surely Palitoy steered Action Man’s course to one of a more British character and key innovations were added by Palitoy which included many new accessories and vehicles. In 1970 Flock hair was introduced - the brainchild of Bill Pugh, Director of Design, Development and Research at Palitoy, replacing the painted hair of the original figures with ‘realistic hair’. Gripping hands (sculpted by chief designer Bob Brechin based on his own left hand) were also conceived by Palitoy and replaced the rather impractical hard hands from 1973. 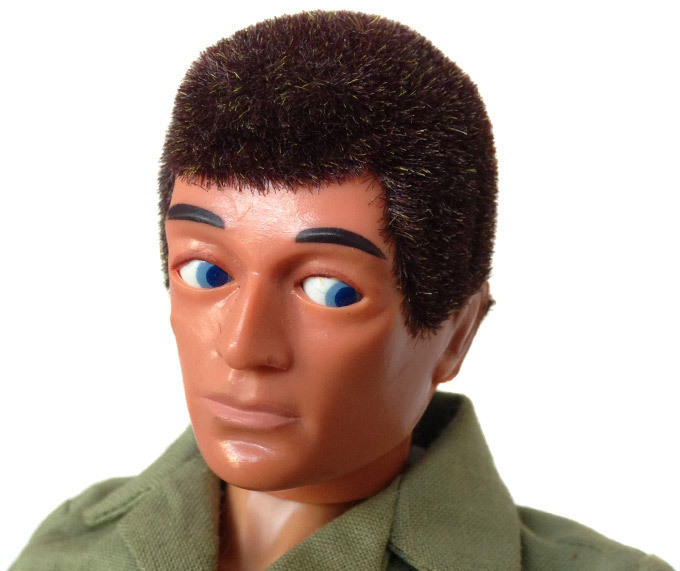 Hasbro added enhancements of their own to their figure in 1976 - the Eagle Eyes head, whereby a small lever at the back of the neck would shift Action Man’s eyes left and right. 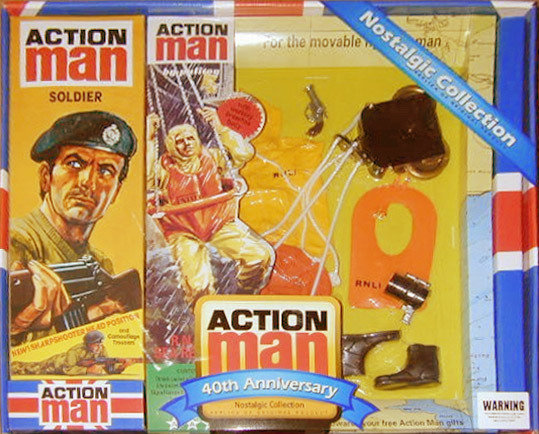 This was adopted in 1977 by Palitoy, just as the GI Joe range had come to an untimely end in the States. By 1978 the original Palitoy moulds for casting the body parts were over-tired, and Ivor Edmunds and Bob Brechin of Palitoy devised a new ‘Dynamic Physique’ for 1979 that did away with any metal parts that could replace the original 1966 body type. The figure was visibly more muscular and featured ‘Blue Pants’ replacing the original flesh coloured hip section. This all-new tanned body was the last major innovation for Action Man and by 1984 the plug was pulled to much surprise, retreating it seems from a high level business relationship decisions, and the relentless battle with the smaller Star Wars figures and merchandise of the time. 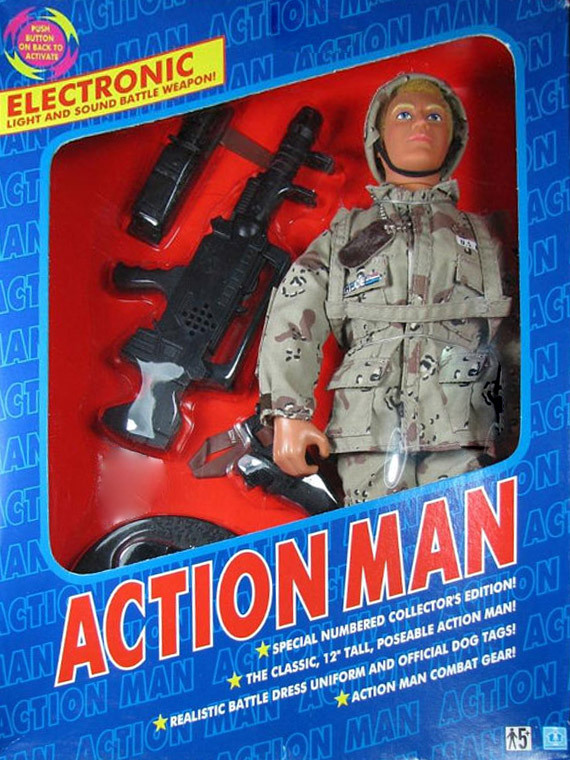 In 1992 Action Man’s popularity was retested with 4 adopted figures, repacked as Action Men, with the closest in DNA terms to the original Action Man was a Master Sergeant named ‘Duke’ in battledress. 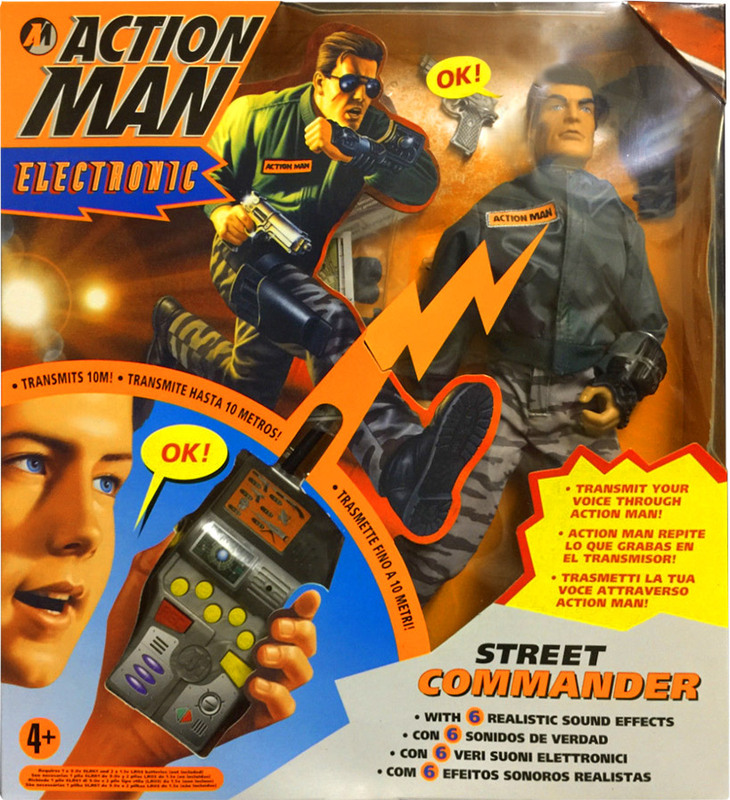 This paved the way in 1993 for ‘Hasbro’ to launch all-new Action Man ranges for another major key period in Action Man’s History. The new theme avoided the military realism of the original period, adopting a more fantasy, all action / adventure, good versus bad motif. Professor Gangrene, and DrX being the James Bond-like Action Man’s nemesis. 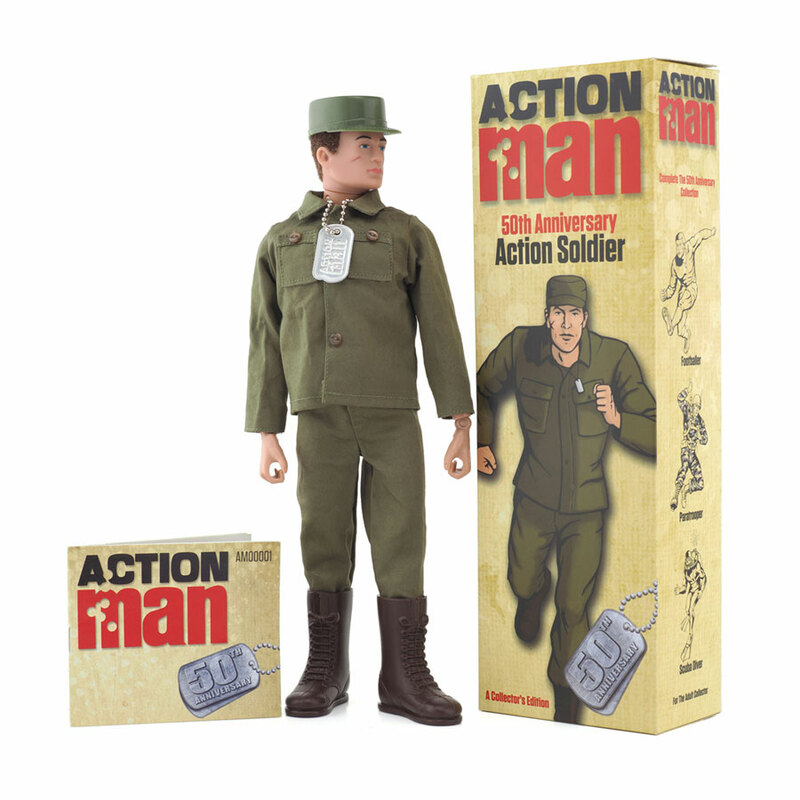 A limited ’30th Anniversary’ Collectors Edition was created visually similar to the 1966 Action Soldier in 1996. The range was inventive and spectacular, and most sets were bought as a complete item, with no emphasis to mix and match with accessories. In fact many body variations were made, some with moulded in weapons and differing degrees of articulation. By 2006 the ‘Hasbro’ range came to an end. 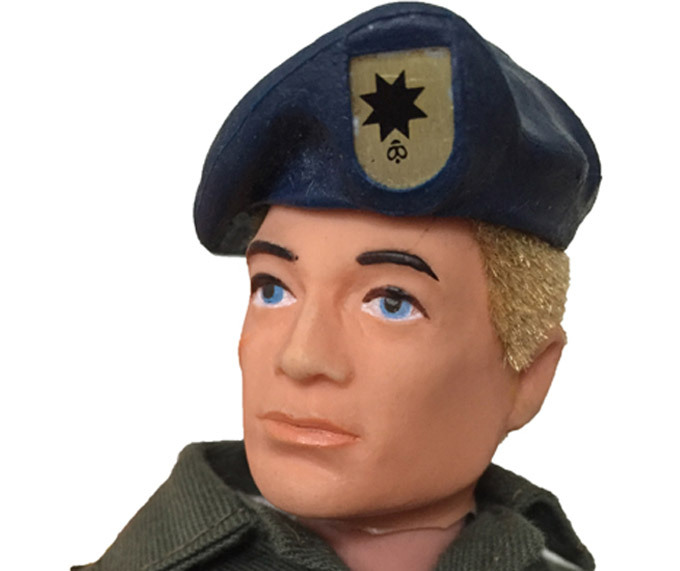 Meanwhile, in the USA, GI Joe launched a ’40th Anniversary range in 2004, and this was followed by Modellers Loft being granted a licence to create a collectors edition ‘Action Man 40th Anniversary’ range in the UK. 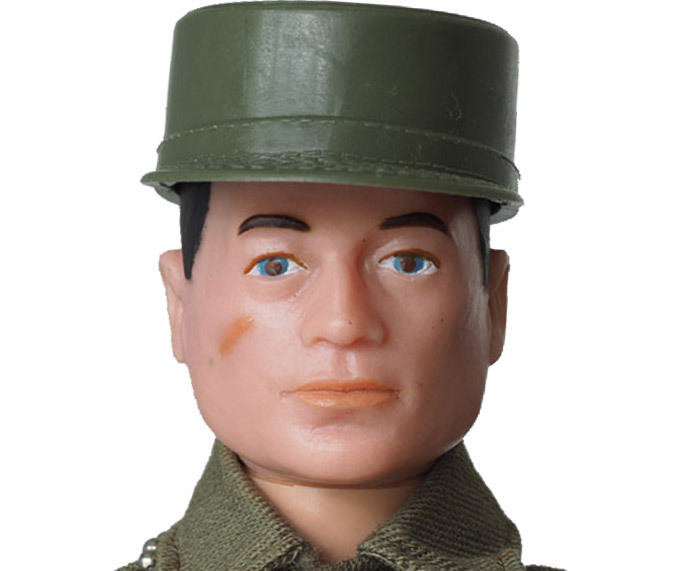 This reproduced the majority of the Action Man figure and uniform range virtually identically in appearance to those of the 1966-84 period. Due to the relatively small numbers made compared with the original sets, and the nostalgic graphics that appear on the boxes, these have held, and in many cases, increased their value. 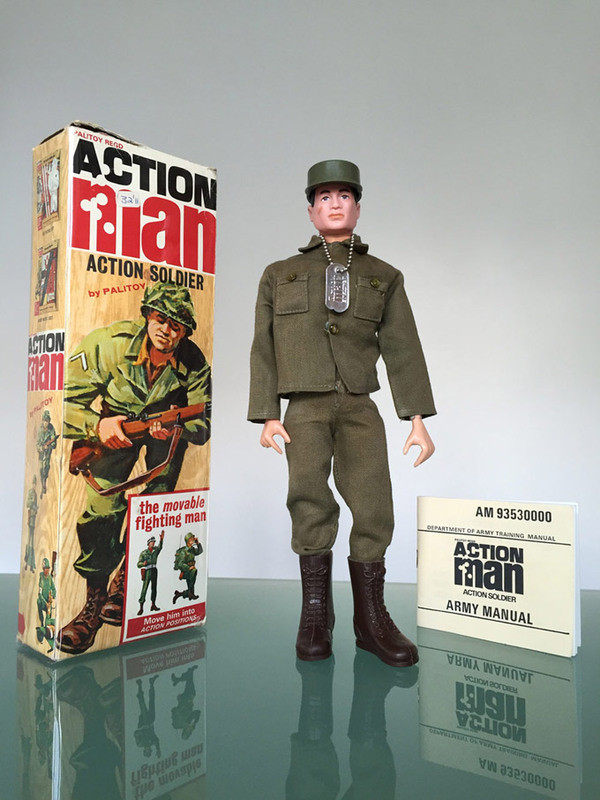 In 2016 Art & Science International introduced the Action Man 50th Anniversary figures starting with the classic Action Soldier and ‘England’ Footballer recreations. 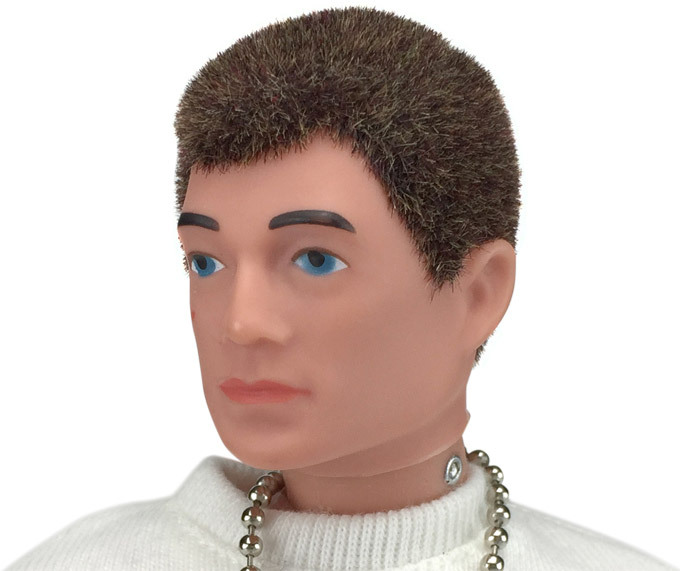 The new figures time-hop back to the original elastic strung hand-made figures, but pick up the 1970 flock hair and 1973 gripping hands to create a hybrid representing the best of Action Man. 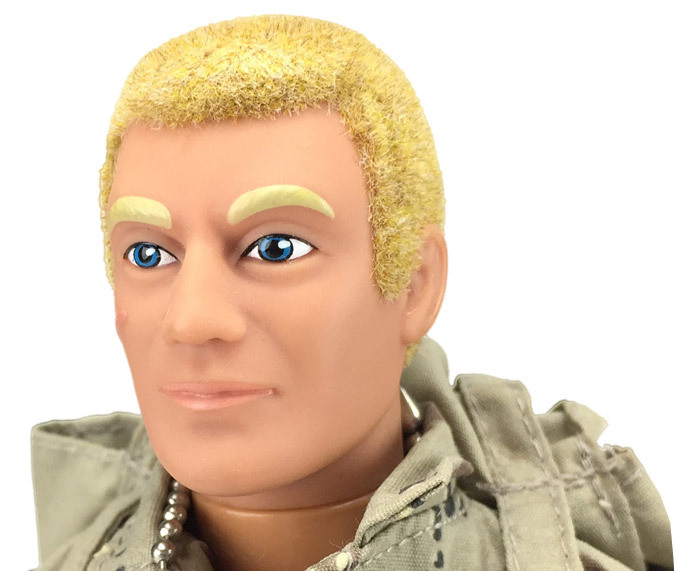 To celebrate the 50th anniversary of England winning the World Cup, a very limited edition of 1,966 Action Man Bobby Moore figures were launched in December to honour his extraordinary career and to support the Bobby Moore Fund. 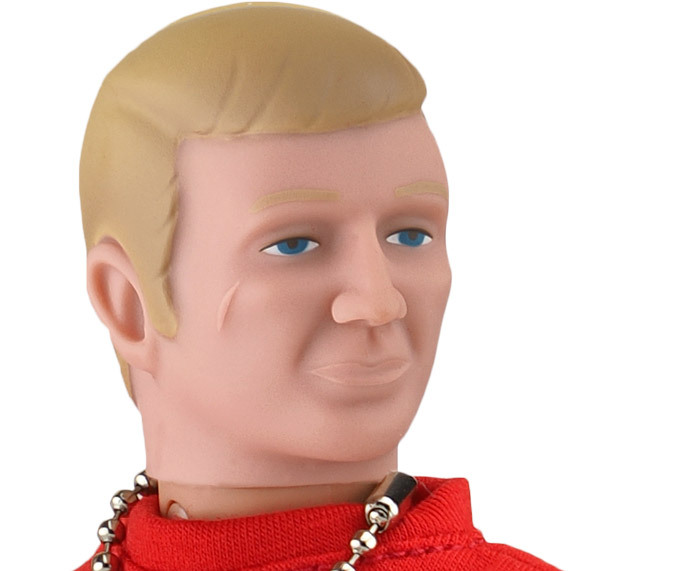 Each edition included a Certificate of Authenticity, and £6 from each Action Man Bobby Moore figure sold was donated to the Bobby Moore Fund, supporting Cancer Research UK’s life-saving work to beat bowel cancer. 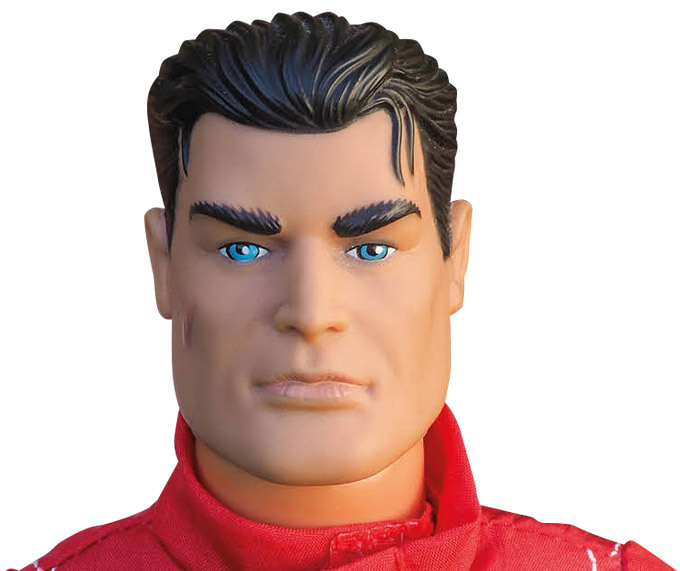 In November 2018 Art & Science International began to introduce six new budget Action Man products aimed at the 3+ age group. 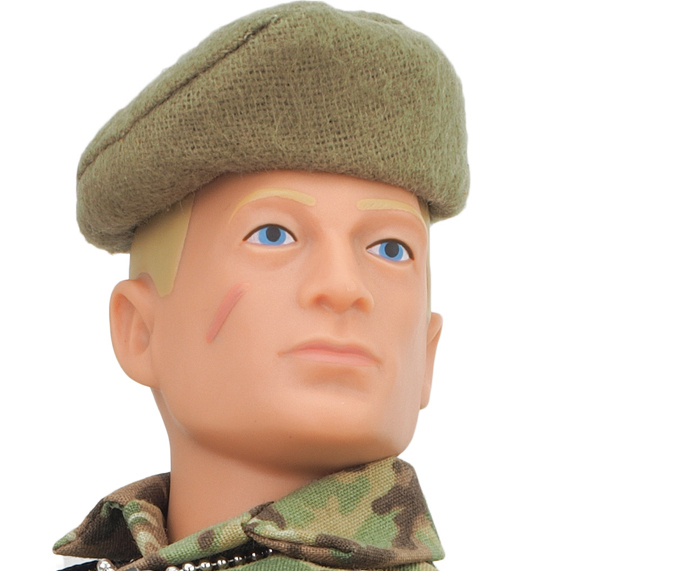 The safety tested 'Kids' ranges include new bodies with fewer points of articulation, but the familiar iconic head with trademark scar, new scale dog tags and all-new contemporary uniforms of a Soldier, Pilot and Sailor. The 'Deluxe' versions include different uniforms and essential themed accessories to entice even more creative play. The blond soldier sports either Desert DPM or MTP camouflage uniforms, the brown haired Sailor either No. 4 work uniform or ceremonial attire, and the black haired pilot either orange or light blue flight suits. Newly developed packaging protects the new figures and provide excellent display options. Good news for adult collectors is a super-articulated range is already on the cards for 2019. 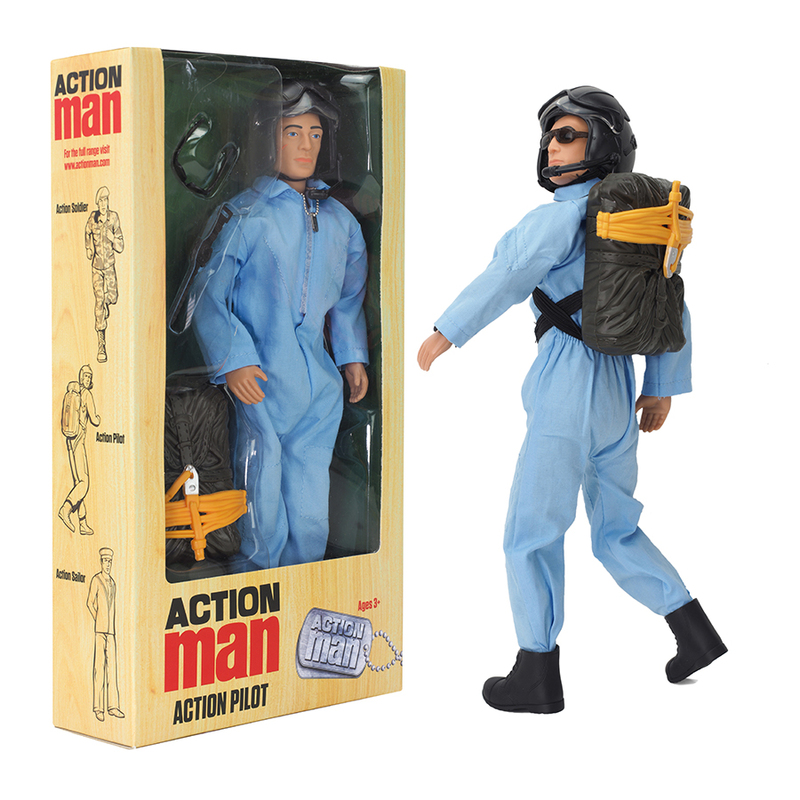 Action Man has been with us since 1966 when he took the UK toy market by storm. To this day he is still one of the most distinctive and memorable brands in the world. 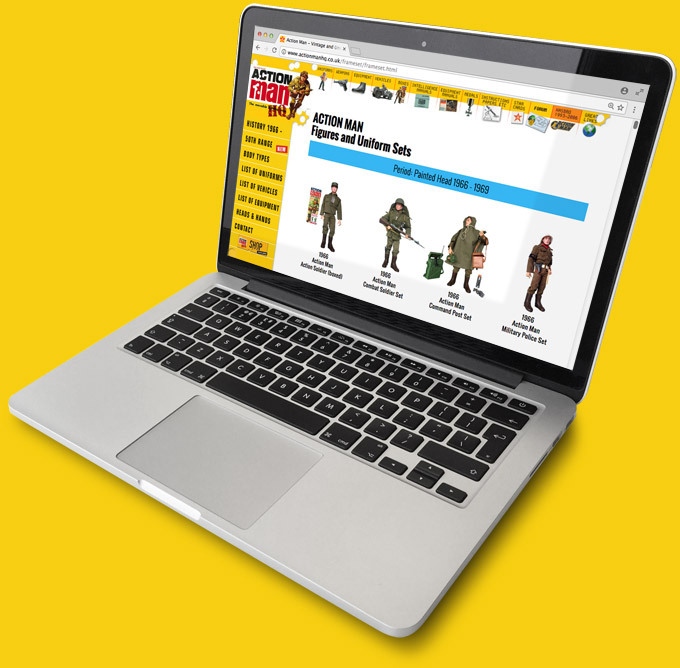 Action Man HQ is a growing resource designed to provide the history of one of the world’s most famous sons. 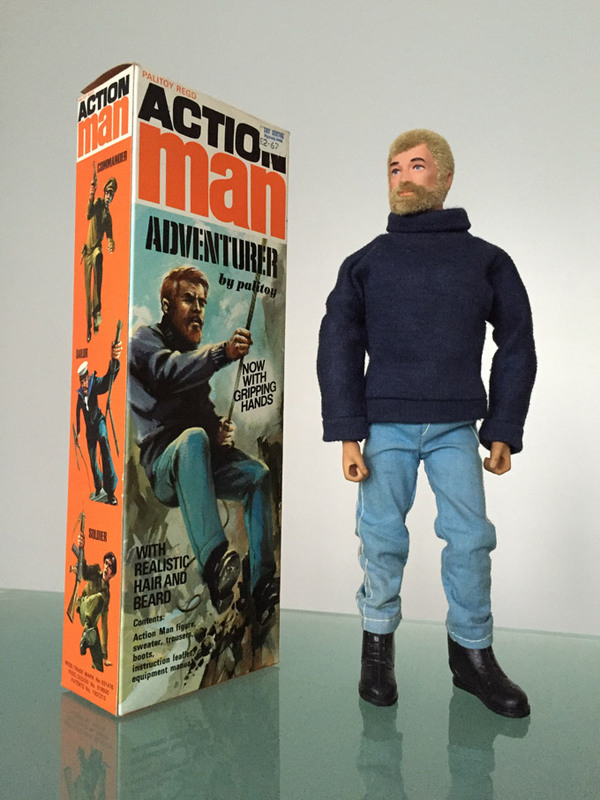 It aims to become the definitive source of Action Man information, professional imagery, and assist those trying to piece together or bring back to life, their cherished collections.